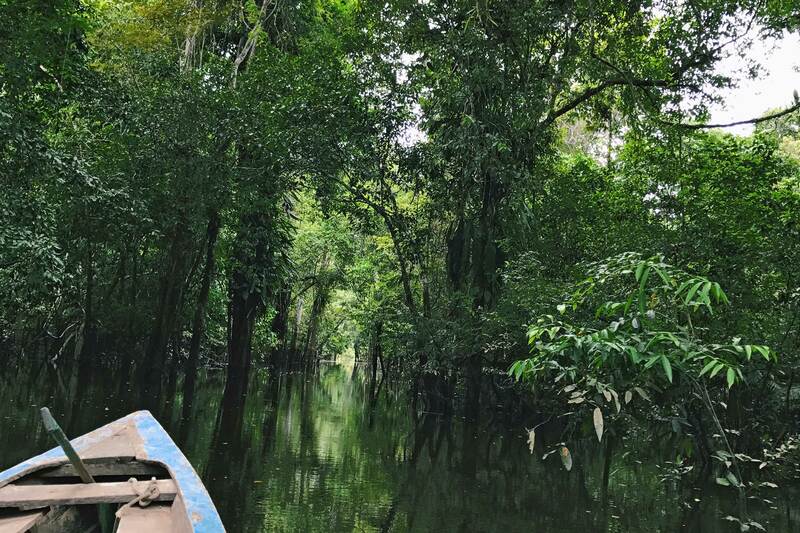 Once we land in Iquitos, Peru, a battered old Suzuki takes my boyfriend and me — two Americans in search of Peruvian jungle adventure — to the port on the bank of the Amazon river where we’ve planned to take a water taxi towards our final destination. We hop out, and the Suzuki disappears into a cloud of tuk-tuk dust. Walking to the river, we are caught by the scents of fresh papaya juice, whole catfish and buckets of centipedes. Aboard the river taxi — a skiff handmade from wood and palm fans — we glide over the river delta, a phenomenon where water as black as night sloshes against water the colour of café con leche, never mixing so much as a drop after thousands of years. This phenomenon known as the Meeting of the Waters occurs because of differences in the two rivers’ temperatures and densities. After an hour and a half on the water, the single engine sputters to a stop deep inside a subsidiary river. We are escorted off of the skiff and are met by Franco, bartender, concierge, and head chef at Sinchicuy Lodge, our accommodation for the next 3 days. As we have our faces painted in welcome by the chief of the Sinchicuy tribe, they tease us that the face paint shouldn’t last too long — perhaps only three years. 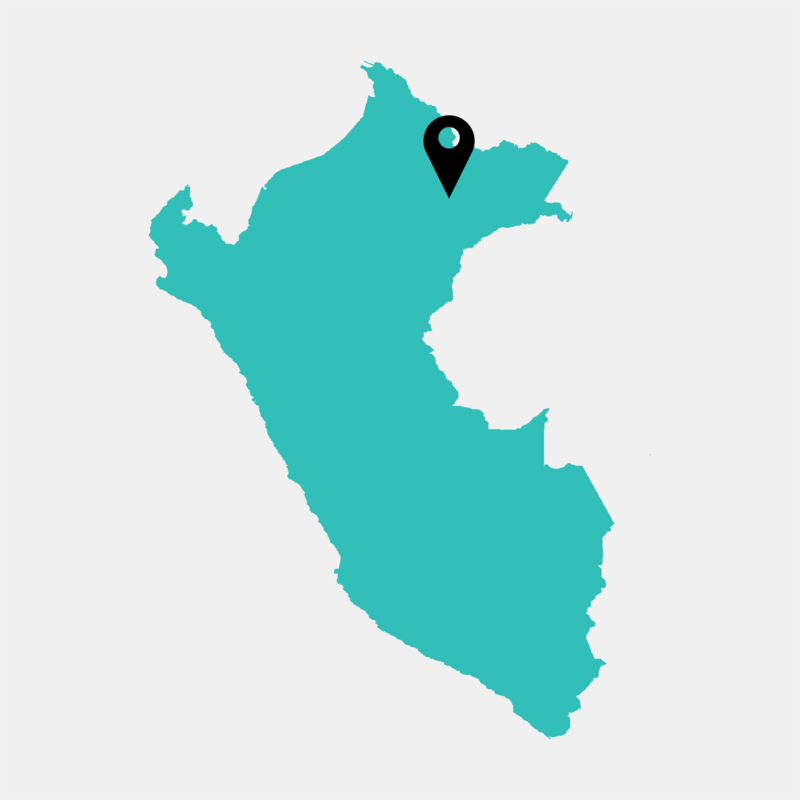 Our guides are native to the Amazon jungle, growing up swimming and fishing in this river, and so we are especially welcomed by the native tribe. 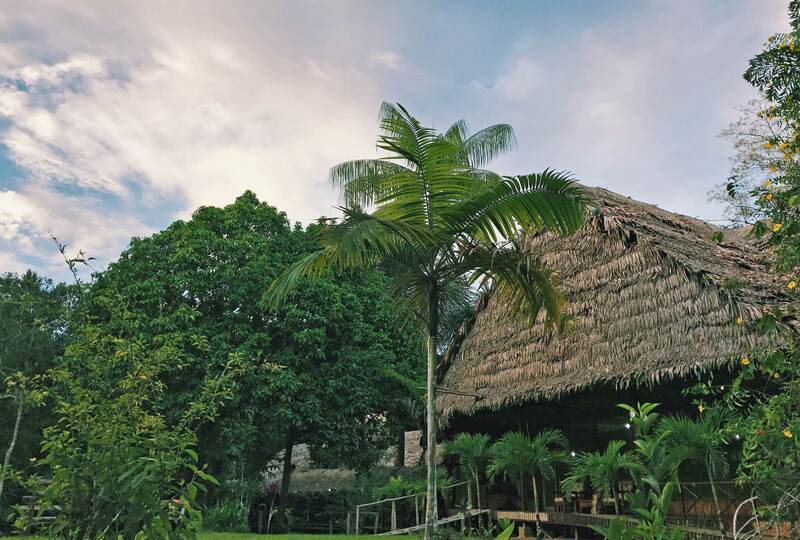 With how rustic the accommodations of this lodge are — our roof is made of palm fronds and mosquito netting, our floor made from unfinished wood planks — we are lucky to be arriving in June, during the dry season in the Southern Hemisphere. Being so close to the equator it is 29 degrees Celsius on this “winter” day, and we both agree that if this is as cool as it gets, this type of simple, unrefined adventure would be unbearable in the hot, rainy season. Over the next few days, we watch the charming and skilful Franco navigate his way around a rustic, sparsely stocked, generator-powered kitchen to bring us and 13 other travellers three delicious meals a day. Franco and his staff are nothing if not resourceful, utilising nature’s surrounding bounty to feed a rotating group of guests, and dietary restrictions and allergies are tended to with care. Our first taste of the jungle is a buffet centred around hunks of oven-baked catfish swimming in lime juice, garlic, and cilantro, with rice pilaf to soak up the liquid. We find savoury plantains and an array of fresh juices labeled by an example of their mother fruit (orange, papaya, cashew); typically two or three pitchers in shades of orange. Among thousands of other creatures I am choosing to remain ignorant to, I discover that catfish lurk in the depths of the narrow river that borders our lodge, as we dine on it regularly during our stay. 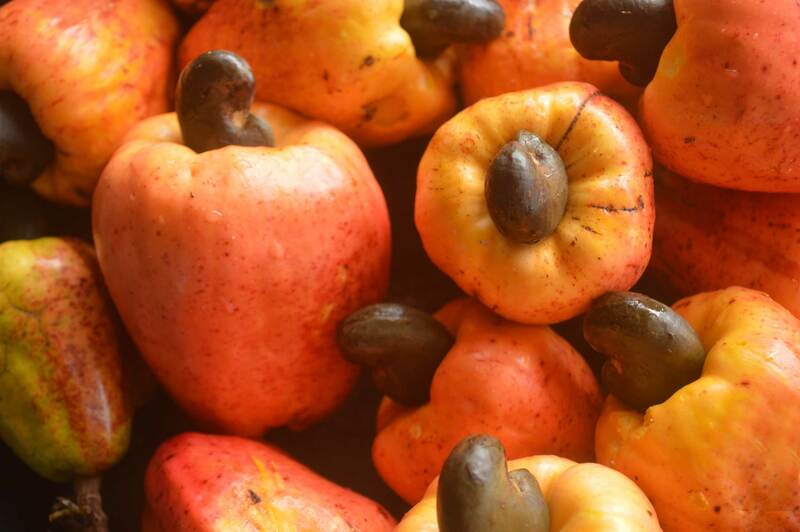 The cashew nut grows out of the cashew apple and its dark shell is poisonous. The cashew apple can be made into juices and jams. 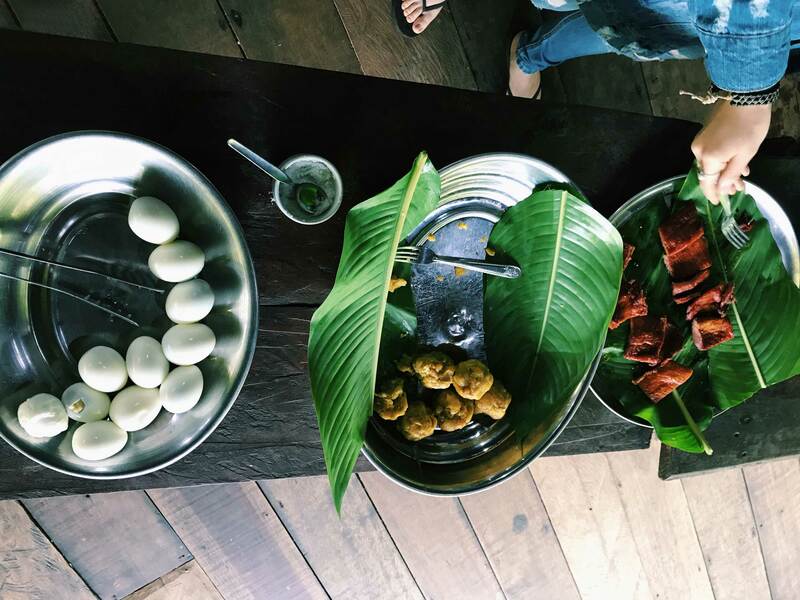 Perhaps the most satisfying part about the meals in a remote, riverside lodge is that there is no need to ask if something is ‘raw’, ‘organic’, or ‘paleo’. This trendy western desire to eat like a caveman is based on our idea that humans were in our healthiest form when we were closest to nature, and few things bring man closer to nature than hunting and gathering, then dining off of his or her findings. One morning we make our way through the mangroves to a pocket of the tributary covered in lily pads to catch river fish. The poles could be described as rustic, composed from a smartly harvested pinky finger-thick tree limb, a single piece of twine, and a hook. Our ever-impressive guide catches a fish on his second drop. That afternoon after lunch, we share a spread of oranges, maduros, and our very own deep-fried piranha. We spend the next four hours carving through river channels by boat searching for tropical birds and monkeys and I am hungrier for dinner than the mosquitos are for my flesh. This evening, Franco serves marinated chicken with citrus pico-style salsa, tomato and cucumber salad, and quinoa. When I enquire about the possibility of an evening drink, I learn that staff at Sinchicuy lodge have figured out how to keep a more than adequately stocked bar. I am still not in a good headspace about the general lack of refrigeration in South America — the generators at the lodge run for only two hours per day — but at the time it is not enough to keep me from having one (or two or three) of Franco’s famous pisco sours. This classic Peruvian drink is made by blending pisco, simple syrup, lemon juice, and egg white foam topped with bitters. He gushes excitedly behind the bar about the fact that he has ice: a rare treat. Nine hours of rest in the mosquito-netted beds lead us to the breakfast drum and a spread of hard-boiled eggs, plantain fritters, and bacon. I do not know from which animal the bacon derived, but I am pleased to report that it was deliciously salty and indulgent. Since no two days on the river are the same, this morning we spend 45 minutes tracking down pink river dolphins and watching them breach and dance in the chop. These enigmatic and elusive porpoises are not hunted or poached by the locals for their highly valuable skin — which can be sold on black markets for leather — but rather protected and regarded as sacred. Our adventures take us to a small nearby village where for local children, school is in session. On a beautiful sunny day like this, the soccer field lies dormant and begs for the final bell when the children will spill out of the one-room schoolhouse and give it a purpose. 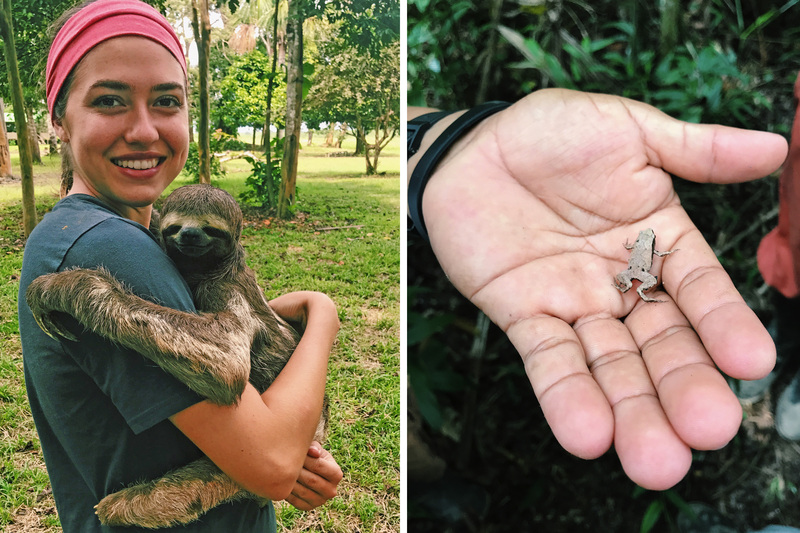 Two young boys show off their pets to us: a tortoise on a permanent leash, a three-toed tree sloth, and a baby caiman. If having pets teaches responsibility, they will learn plenty of that figuring out when to let that caiman loose before it makes a meal of the sloth. Before we leave this village we are invited to the sugar cane plantation, where I abstain from tasting jungle beer, a malt-style beverage whose fermentation agent is human saliva. I do partake when we visit the village’s medicine man to learn how the local people use natural remedies to stay free of disease and cure minor ailments. Siete raices, or seven roots is a fermented brew infused with medicinal roots, a bit of a ‘cure-all’ that supposedly prevents and treats everything from inflammation to gastritis while providing energy and acting as an aphrodisiac. We all succumb to peer pressure and sample four or five root and bark liqueurs, which have varying percentages of natural alcohol content leaving us too tipsy for only 11am. Near the end of our stay, we are granted time for siesta in the hammocks by the water. A symphony of tropical birdcalls serves as the soundtrack to my reflection on my time in Sinchicuy, and I think about hand-feeding capuchin monkeys and enjoying Franco’s bar-side South American history lessons. 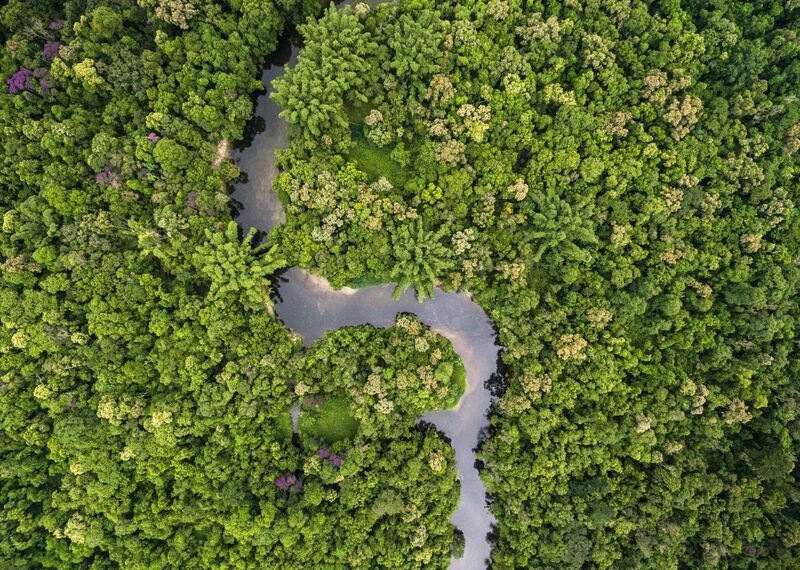 The jungle of the Amazon River is Peru’s wild west, where the only rule is for guests to simply agree to treat the land and water with the respect they deserve for providing so many gifts. In this moment, I feel truly thankful.